And yet: the same court came to diametrically opposite conclusions in the two judgments! How can that possibly be? This article takes a comparative view of the two judgments, and attempts to reconcile the two – if only at a superficial level – it is not intended to be an exhaustive analysis. In both cases, the respective opponents argued that the prefix was the dominant element of the marks in question and, accordingly, because they were absolutely identical, deception or confusion was bound to follow in the minds of the public when buying the products in question. (Other arguments were also advanced – those are not relevant to this discussion). In the PEPPA case, the court disagreed with this argument, primarily for the reason that “PEPPA” was held not to be the prominent element: the court accepted that other, older third party trade marks, such as PICKAPEPPA and PEPPAMELT has been permitted to co-exist on the Register. The distinctive element of each mark in in this case was thus the suffix (DEW vs MATES), which were held to be wholly different from each other and, accordingly, the two marks were held not to be confusingly similar. Conversely, in the CURI case, the same court adopted an entirely different line of reasoning, and arrived at the very opposite conclusion. It was common cause that both the Appellant’s and the Respondent’s goods in question here were scheduled antibiotics, that were capable of being dispensed by a pharmacist only on prescription by a doctor. Simply put – and as was argued by Novartis – the healthcare professionals, with their specialised knowledge, in this highly regulated market, would not be deceived or confused by the different names . The court disagreed, and applied the same reasoning as it did in the 2012 Adcock Ingram judgment, holding that there was, indeed, a real likelihood of both visual and aural confusion amongst members of the public, including trained healthcare professionals. Are The Judgments Mutually Contradictory? The question is inescapable. With respect, I suggest that the judgments are not contradictory. 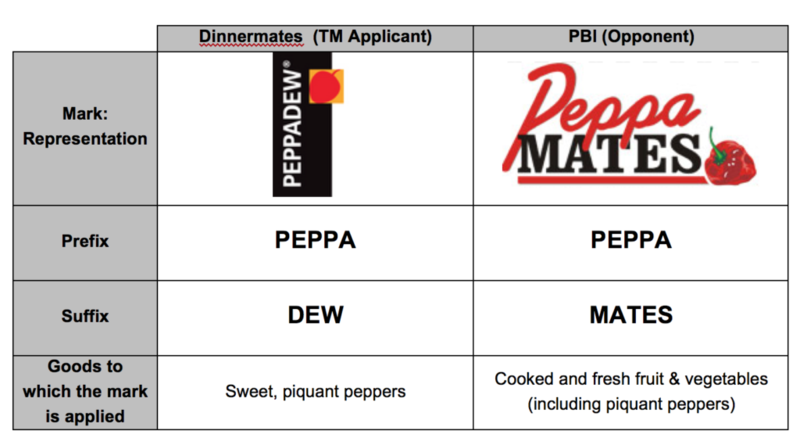 In fact, the real difference between the two cases is that, in the PEPPA case, the trade mark applicant was able to adduce evidence of what was the dominant feature of the mark. Conversely, in the CURI case, the Opponent relied on a line of reasoning that had already been dismissed by the same court (and, it must be noted, in the very same industry) previously. One cannot argue successfully that skilled professionals in niche industries are incapable of being confused! What Lessons Are To Be Learned From These Judgments? To my mind, there are two: first, a superficial side-by-side comparison is not definitive of the issue. There is no substitute for thought & applied reasoning, and an analysis of which other marks co-exist on the Register – after all: trade mark cases do not exist in a vacuum. Second, the argument that skilled professions in niche industries are incapable of being confused between trade marks, unquestionably, is a non-starter. 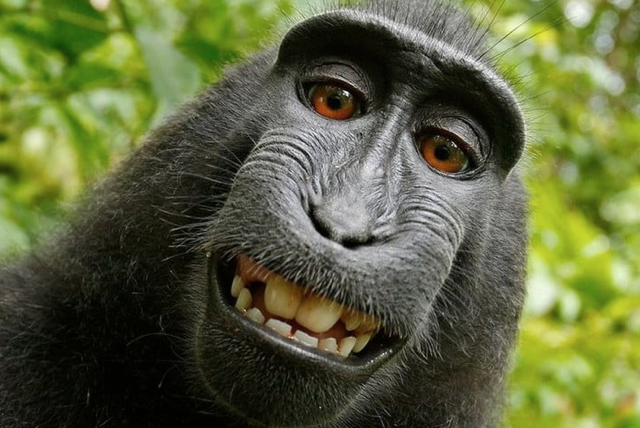 In our recent newsletter, we told the tale of Naruto, the selfie-snapping crested macaque. In a nutshell: the People for the Ethical Treatment of Animals (“PETA”) argued before the US courts that monkeys are capable of owning copyright in their own capacity and, for that reason, Naruto should be regarded as the owner of copyright in the photographs that he had snapped – and not Mr David Slater, the photographer who complied a book of those photographs. In a no-nonsense, firm judgment on the matter, a three-judge panel in the Ninth Circuit Court of Appeals denied both parties’ request for the case to be dismissed, and for their out-of-court settlement to be honoured. Instead, the court handed down judgment saying that monkeys cannot own copyright. To add insult to injury, PETA was ordered to pay costs. Does your business run a dedicated app? If so, there is a new domain that will be extremely important for you: registrations for .app are now available. This provides an excellent platform to market, make available and maintain your app. It is a natural progression of the .mobi domains that have been available for some time. A word of caution, though: in order for it to work properly in browsers, you will need to configure the HTTPS serving. SSL certificates are available for purchase to meet this requirement – in you have any questions about .app registrations, you are very welcome to contact us directly. In our practice, not a week goes by where we don’t caution our clients very strongly to secure trade mark and (online) domain registrations for their major brands – and promptly. A recent decision of the Gauteng North High Court has shown, yet again, the dangers of not heeding this advice. The critical facts of Rostruct Mining (Pty) Limited v Rosond (Pty) Limited are uncomplicated: Rosond registered the domain www.rostruct.co.za in its own name and, when Rostruct Mining learned of this, it lodged a complaint of an “abusive registration” and sought an order transferring the domain registration to it. The history of this matter is long and acrimonious, and the judgment fairly long and technical – those facts are not relevant here, except to note this critical aspect of the ultimate judgment: because Rostruct Mining could not show that it had any trade mark rights in the word ROSTRUCT, its case failed, and the Court refused to come to its aid. Simply put: Rostruct Mining’s acrimonious opponent retained ownership of (what we suggest is, arguably) a dubious, mala fide registration, leaving Rostruct Mining firmly over the proverbial barrel. At the risk of repetition: had Rostruct Mining simply have invested just a few thousand Rand in a single trade mark registration – undoubtedly – it would have stopped Rosond at the very first hurdle. Instead, after incurring a legal bill many, many times that amount, it is left with nothing, and also the real prospect of having to change its own name. Penny wise; Pound foolish – in this day and age, ignoring trade mark and domain registrations is a recipe for disaster. In cases such as the Rostruct Mining case, it can even force the consideration of the closure of a business! Ideally, each of your key trade marks or product lines should be supported by a complimentary TLD registration. They’re relatively inexpensive, extremely quick to secure, and provide an extremely efficient weapon against copycats and cybersquatters – Chinese TLDs offer an effective, efficient tool to cementing your position in the Chinese market. The new domain .africa, has had one of the most successful starts of any of the new geographic top level domains (TLDs). In fact, .africa finds itself amongst the top 10 launches. We consider the .africa domain to be an indispensable extension for all businesses that conduct work on the continent. Did You Know: you do not have to hold a physical presence on the African continent in order to hold a .africa domain registration. The new .africa domain is aimed at individuals and organisations to showcase their brands across the continent with domain names available to anyone, anywhere. And there’s more good news: with immediate effect: you’ll now be able to secure your own .africa registration for less than R1,000. 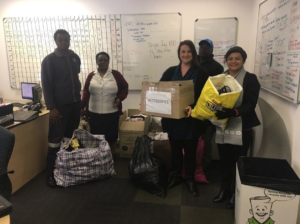 As part of our commitment to Mandela Day, the Margo team participated in a collection of clothing and apparel for the Strathyre Girls’ Home. The idea behind this project is not simply to collect clothing – there is a far deeper significance: we are intentionally focussing our efforts on supporting young women, and specifically on helping them to secure employment. Having just a few items of formal clothing is often all that separates a young woman and securing employment. Pictured here is a sample of the clothing, handbags, shoes and apparel that was handed over to the Strathyre team. The sizeable donation was made possible thanks to the tremendous generousity of our friends at TPN, ProSol, ACS, and Adv Ilse Joubert. We have also decided to make our commitment to Strathyre a more permanent, ongoing one. In addition, if any of our colleagues or clients would like to contribute to this cause, we will gladly collect the donations from your office, and have these delivered. A Sense Of Humour Failure – when is a parody no longer funny? There is a common assumption that there’s no harm done in parodying a trade mark. Many believe that the idea of free speech, or a simple attempt to inject humour somehow provides some form of defense against trade mark infringement. This couldn’t be more wrong, as two recent incidents illustrate. Reproduced here is a copy of a parody of a famous audit firm, and also of an advert placed by a political party. The significance and parody inherent in each will be obvious to the politically-astute South African reader. Readers are cautioned: the Trade Marks Act does not tolerate acts in which the reputation of a trade mark is tarnished or diluted. The relevant section in the Act states, specifically, that it is an act of trade mark infringement to use “…a mark which is identical or similar to a trade mark … [if it is] well known in the Republic and the use of the said mark would be likely to take unfair advantage of, or be detrimental to, the distinctive character or the repute of the registered trade mark, notwithstanding the absence of confusion or deception”. Proudly South African, the owner of the second of the affected marks, has already indicated that it intends taking legal action against the political party responsible for publishing the parody. The purpose of this article is not to comment on whether that action would likely succeed. Instead, we simply use these latest incidences to highlight one, clear certainty: tinkering with well known trade marks is bound to get you into a considerable amount of trouble. It’s no laughing matter! **The views expressed in the parodies are not necessarily those of Margo IP Attorneys. But they might be. The unlawful act of passing off occurs when X misrepresents that his goods and/or services are the same as Y’s. To be successful in a passing off claim, Y must show that, (1) he has a reputation in the goods and/or services, (2) that X has misrepresented to the public that its goods and/or services are the same as his and (3) that, due to this misrepresentation, Y has suffered damages. The issue of passing off was raised recently before the SCA in the case of Herbal Zone. In it, the Appellant was not successful in its claim of passing off because it could not prove that it had a reputation in the goods – it is an interesting exercise to explore why. To be frank, however, the Herbal Zone judgment was coloured more by the paucity of evidence than it was by any issue relevant to passing off – but where that judgment does present something new and interesting is in the issue of provenance, as we explore below. The evidence that was led by the Appellant created some confusion as to which company held the rights and goodwill in the product. Several players were involved in a confusing, veritable rabbit’s warren of intersecting rights and allegations. To complicate matters further, neither of the parties had attempted to register any trade marks for the product in question before this matter went to court. It appears that only once the relationship had soured between the parties did they both attempt to register the trade mark. [This issue, of which party can lay claim validly to the trade mark, now lies before the Trade Marks Office Tribunal]. Before the SCA, neither party could lay claim to the reputation vested in the trade mark because neither party had proprietorship of any trade mark. As a result, the court then had to look at the issue of provenance. In other words, which company is the primary source of the products in question? This was the second critical issue that had to be dealt with by the SCA. To summarise the detail: while one of the Appellants was able to demonstrate that he was the proprietor of another product of the Appellants, he could not demonstrate, on the evidence, that the Appellants had built-up goodwill and a reputation in the product. Accordingly, the first hurdle to proving passing off could not be overcome – and the matter ended there. The important element to be crystallised from the Herbal Zone judgement is that the courts may rely on the issue of provenance when deciding on the matter of reputation. This places tremendous pressure on the Applicant, if it does not have a registered trade mark relating to the goods and/or services in question. In such cases, for an Applicant to show that it has a clear and direct link to those goods and/or services it must, at a minimum, produce very strong, clear evidence of this provenance. The moral of the story is: to avoid a situation such as this, it is always advisable to file trade mark applications for your logos.